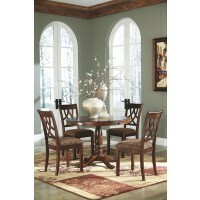 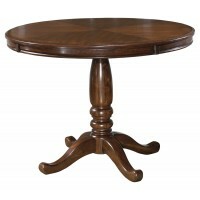 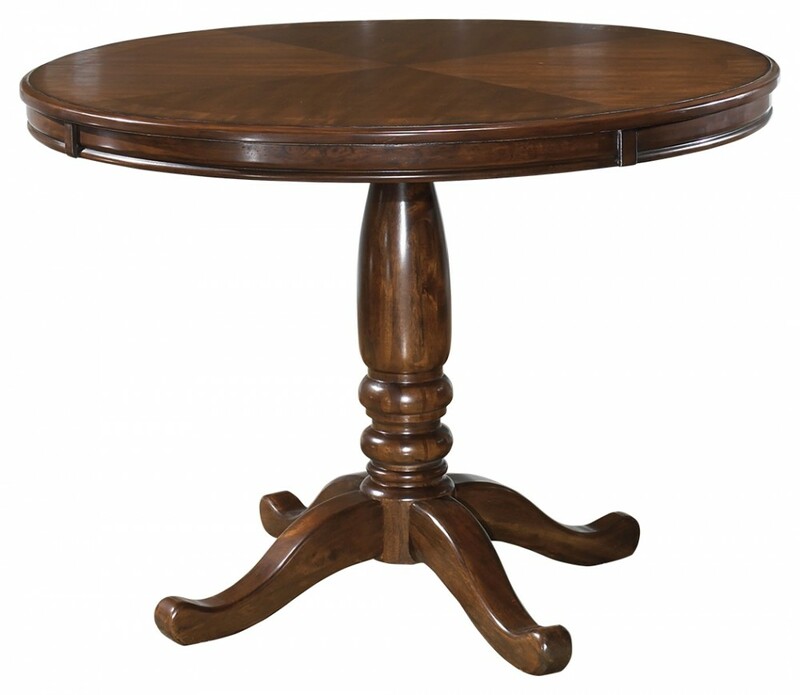 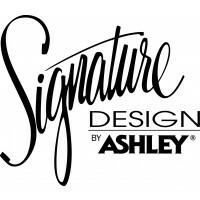 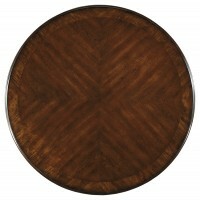 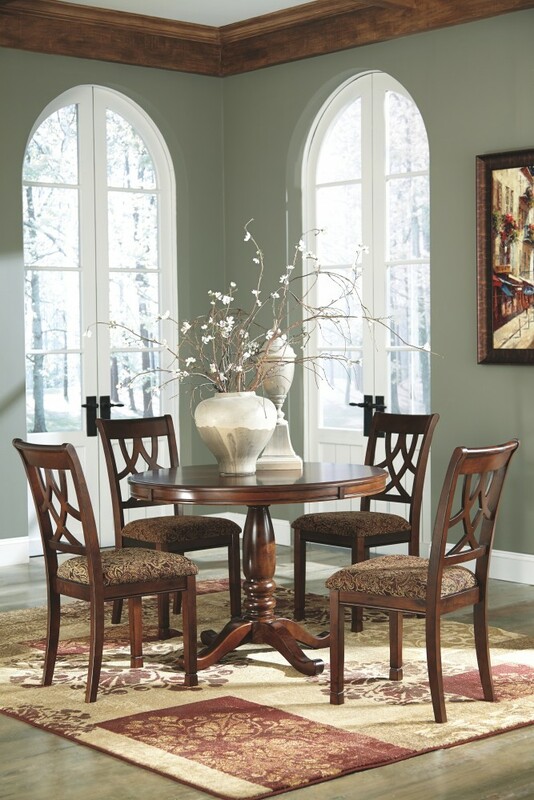 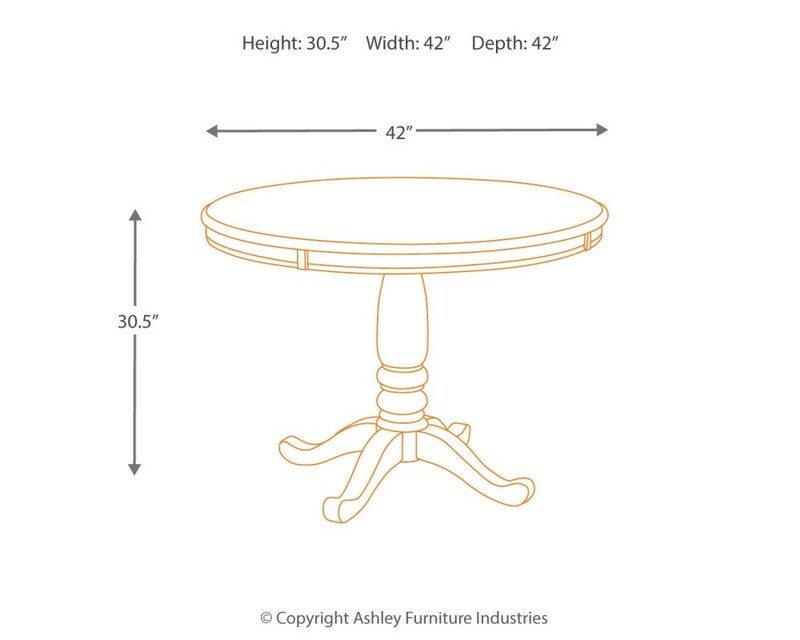 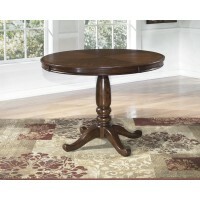 Round tables encourage conversation, and more so when it centers around this elegant dining table. The tabletop is beautifully patterned, with diagonal grains flaring out from the center. 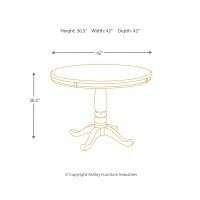 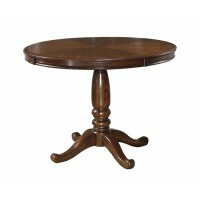 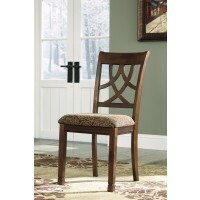 Classic pedestal base supports the round top.